Melanie Leneghan, R-Powell, has petitioned the Ohio Supreme Court to issue a writ of mandamus that could ultimately order a new election in Muskingum County for the Republican Party nomination to Ohio’s 12th Congressional District. Leneghan and her legal team are asking Ohio’s highest court to order Secretary of State Jon Husted’s Office and two Ohio county board of elections to amend or certify the June 6 recount results of the May 8 primary election. According to the petition, Leneghan’s team is accusing the Muskingum County Board of Elections of fraudulent acts during the June 6 recount of the May 8 Republican party nomination to Ohio’s 12th Congressional District ballots. The Gazette reached out to the Husted’s office for comment about Leneghan’s petition. Leneghan had filed an application May 31 requesting the recount of five precincts in Delaware County, 21 precincts in Franklin County, six precincts in Licking County, and 16 precincts in Muskingum County. When the Muskingum County recount of the ballots still showed Troy Balderson, R-Zanesville, had received almost 80 percent of the votes in a 10-candidate field where the congressional district only represents parts of the county, Leneghan filed. 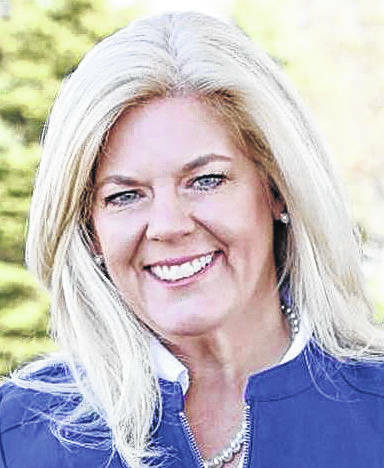 Leneghan herself only received 11 percent of the votes, the second-highest percentage in Muskingum County, while the rest of the field scored in the single digits or lower. In her home county of Delaware, she received 32 percent of the vote, while Balderson only received 20 percent in Delaware County. In comparing the two home counties of each of the candidates and the results, Leneghan said she was highly suspicious of Muskingum County’s vote count. Leneghan argues that the ballot containers were to remain sealed until the moment of the recount. • Issue a writ of mandamus compelling respondents to reject the ballots in the 16 precincts pursuant to Ohio Revised Code. • Issue a mandamus for respondents to uphold their duty and the law and investigate the violations and irregularities that occurred in Muskingum County during May 8, 2018, primary and the recount process. • Issue a writ of mandamus compelling respondents to amend the official results after removing the fraudulent votes from the 16 precincts from the official count. • Alternatively, issue a writ of mandamus ordering for a new election in Muskingum County for the Republican nomination for representative to the Congressional 12th District, and oversee the election to ensure the voters’ choice can be known. • Issue such further and other relief as the court deems appropriate. This entry was tagged D. Anthony Botkin, Melanie Leneghan, Muskingum, Ohio Supreme Court, Troy Balderson. Bookmark the permalink.